We have several types of account in which you can save your money. Savings accounts can be used to save for an expected large payment or simply for general savings. When you open an account with Holdfast, you are not just a customer but a Member with a say in how things are done. Your money is 100% safe, protected up to £75,000 by the Financial Services Compensation Scheme. A potential financial return is payable on your investment if Holdfast has a surplus for the year. 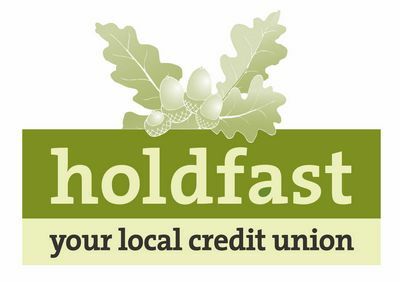 By joining Holdfast Credit Union more people in Essex have access to financial services they may have been refused elsewhere. This keeps money in the local economy, promoting growth and combating poverty. Holdfast provides life insurance to all of its adult members through the annual membership fee. Saving with us means you may be eligible for a loan from only 12.68% to 36.8% APR, with no extra charges or penalties for early repayment. It's very easy to save with us. When you become a member, we will open a member share account for you in which you must deposit at least £5.00. by cash at the Witham office collection point or by means of a PayPoint card at any outlet displaying the yellow PP sign. by standing order from a bank account. by payroll deduction (only available from those companies which have set up a scheme. Talk to your employer if you would be interested in this and get them to contact us). You can arrange to withdraw money from your account by email, telephone or post. This would normally be done by bank transfer.